This exhibition contained original art for the picture book Paul Poiret, Dromen van de Oriënt. The picture book was made to accompany the exhibition Art Deco - Paris and described the life of Art Deco fashion designer Paul Poiret to children. 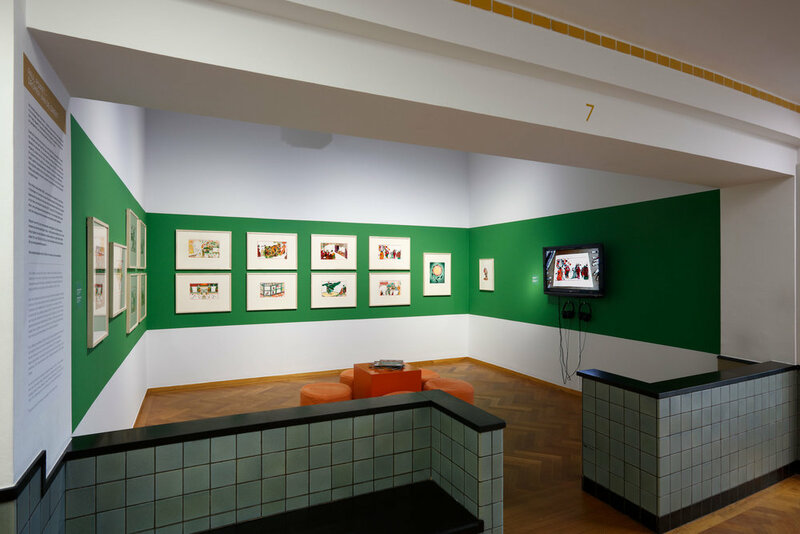 The exhibition took place from October 14th 2017 to March 4th 2018 at the Gemeentemuseum in The Hague, The Netherlands. The illustrations were also selected for the Society of Illustrators' annual exhibition in New York City and were rewarded with a silver medal from the 3x3 International Picture Book Show.